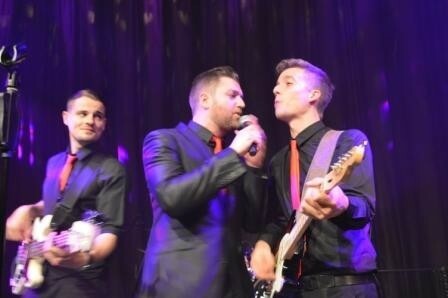 High quality corporate, party and wedding band based in London. 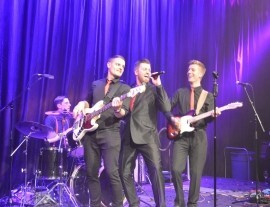 High energy and gauranteed to deliver a great night of live entertainment. 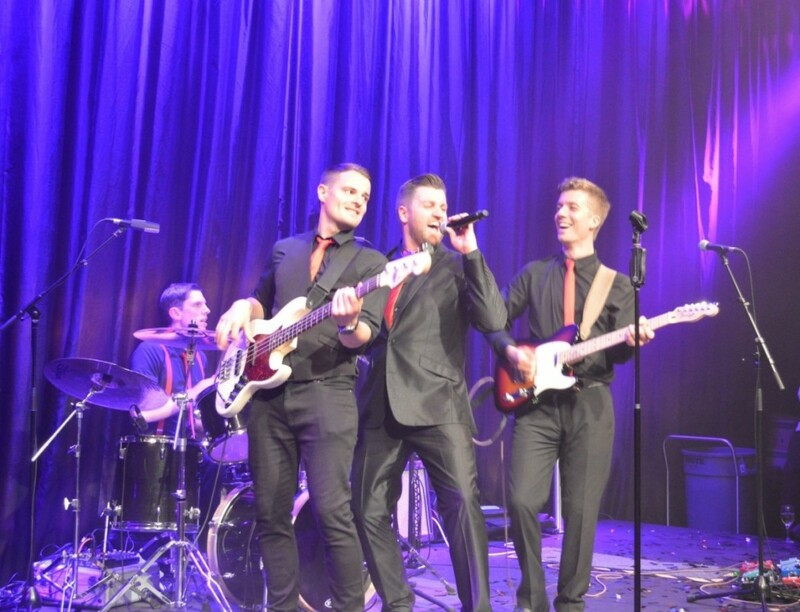 If you want an energetic, exciting, professional band to make sure everyone at your event has a great time, The Right Hook are the right choice! The Right Hook comprise of some of the finest professional musicians based in and around London who have graced some of the most prestigious stages globally from West End theatres to cruise ships to rock and pop shows. They craft the perfect set for every event using a vast catalogue of songs ranging from the rock and roll of the 1950s, through pop and rock of every era, right up to the most modern dance floor hits. Such a strong repe ... rtoire ensures that everyone will love the set, and their charismatic front man is not content until everyone in the room is having a great time. The Right Hook have options to provide several musician line-ups to suit the client’s budget and venue size. 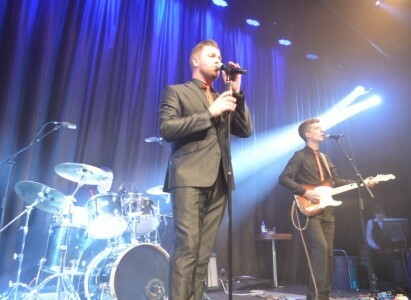 The standard line-up is a classic rock/pop four piece. This is the most popular line-up as it stills provides a full band performance at a very affordable price. This can be extended to include a second male or female vocalist, keyboard players and a horn section. Just speak to our booking team about these options when you enquire. The Right Hook can provide as standard 2 x 60 minutes or 3 x 40 minutes. Other set lengths available on request. Between live sets The Right Hook can supply a DJ service to keep the night rocking all the way though. This includes a huge library of popular music as well as being able to take requests and make necessary announcements. The Right Hook have played just about every type of event imaginable so they can dress more formally for corporate events, suited and booted and looking suave, or they can rock it up a little when the less formal approach is more appropriate. It is up to the client’s preference. The Right Hook can also supply a jazz set earlier in the day to really set a classic mood and ambience. This is a very cost effective add-on because the musicians are already on site and ready to go. They perf ... orm at every event as if it’s their last, giving 100% every time and making sure that every guest in the room is having a great time. Their repertoire delves into the classic dance floor fillers from the 1950s up to today’s freshest hits meaning they can tailor each set to fit each individual event, even adapting things on the fly to suit the mood of the audience. “I just wanted to thank you all so much for Saturday night. Honestly you were the absolute highlight and everyone spent the evening coming up to us saying how amazing you were! Also, all the correspondence we've had throughout the organising has been the best of any supplier we've used! I know there was a bit of chaos with the food- I hope you guys weren't effected by that! And I hope the kids weren't bugging you too much! I will be recommending you to everyone and anyone! When we go into the bed the last thing nick said to me was "I loved the band- they're such cool guys". Ha ha- he couldn't remember anything about the night so you obviously did a fab job. Thank you so much. Wedding Reception Entertainment Birthday Party Entertainment Private Parties Corporate Events Cocktail Receptions Christening Entertainment Product Launches Trade Shows Christmas Party Events Gala Dinners Jewish Weddings After Dinner Entertainment. CRB checked. All insurances included. Full professional PA and lighting rig included. DJ service between live sets included.